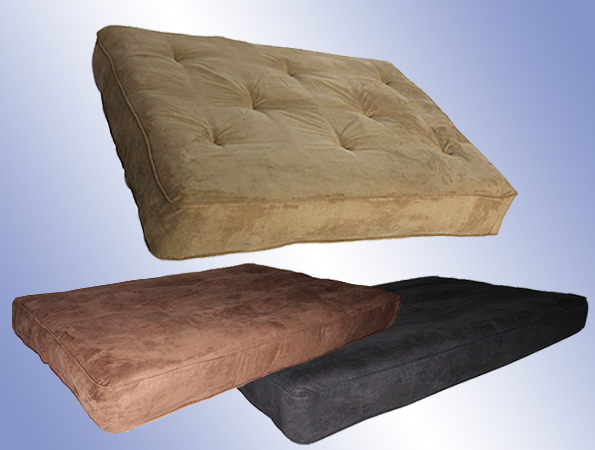 Futon Mattress features 8" pocket coil innerspring, and comes in your choice of Lavish colors - incl. Cappuccino, Black, and Chocolate (clockwise, as shown). Self piping on perimeter.